A brand purpose is for life, and not just for Christmas, according to P&G's brand director for Northern Europe, Roisin Donnelly. 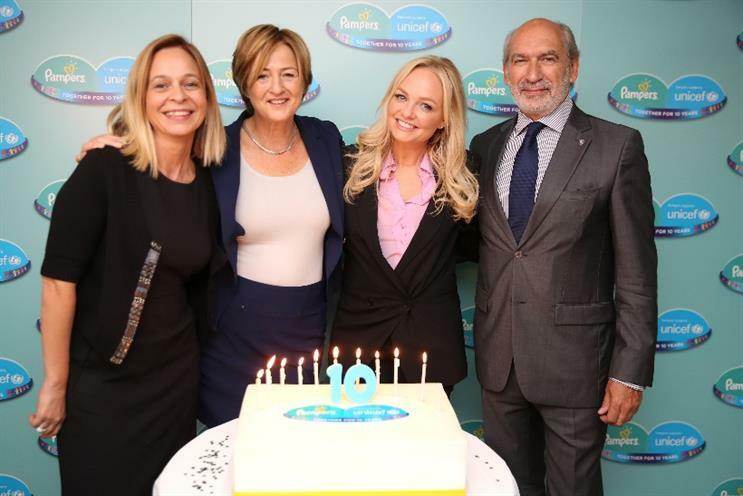 Speaking at a Marketing Society event this week, ‘Profit through purpose’, Donnelly said the FMCG firm’s mission of "touching and improving lives" was central to everything it did. She cited P&G’s annual Christmas partnership with Unicef, as part of which the FMCG brand pays for one dose of neonatal tetanus toxoid vaccine for each pack of Pampers bought over the festive period. A decade after the partnership began in 2006, P&G has delivered 200m vaccines in the UK and more than 300m vaccines globally. In some countries, the pair’s efforts have helped eradicate tetanus entirely, said Donnelly. However, she was challenged by an audience member as to whether P&G was more interested in boosting returns to shareholders than improving global health. Donnelly replied: "Our mission is to have superior products that touch and improve lives, and when we bring out new products [we ask], is this going to improve life?" With reference to the downfall of Sunny Delight, which P&G sold in 2004, she added: "I hesitate to mention Sunny Delight in this room, but we had a very frank discussion around the boardroom table. Was it a fit with our strategy? "[Purpose] does drive the brands we sell, the new products we launch and our marketing communications. It’s in our DNA, and it’s a question we ask day in and day out." Sunny Delight was marketed by P&G initially as a healthy alternative to fizzy drinks, but was slammed by consumer groups who found it contained high levels of sugar. Famously, it also turned one toddler’s skin yellow. Donnelly concluded: "[Purpose] is not a layer we do on Christmas Day, it’s who we are, how we do business and we measure it. That’s how we have money to reinvest." Tom Rainsford, a founding member and brand director of mobile network Giffgaff, said brands couldn’t simply tack on a purpose after the fact, but had to make purpose a core part of the business. Giffgaff was founded on the idea that most mobile consumers are short-changed by 24-month contracts and poor customer service. The operator has made peer-to-peer customer service and customer rewards central to its business, and at one point stopped expanding to ensure its members would receive the same quality of service. Rainsford said: "You can say you have purpose, but if the person using and buying your product isn’t feeling it, then it doesn’t really matter. It’s about authenticity at the heart of it."